Silent and Fast. Check, check. This is a pretty good M.2 drive, if you want to install Windows on it, for your custom PC. Fast boot times, and very useful for productivity. Using this as a storage/gaming drive paired with a 960 Pro 512GB M.2-2280 SSD which is running my OS. Paired with an Asrock Z270 Gaming i7 motherboard it was recognized no problem and has been running flawlessly for three months so far. Doing away with SATA cables and drives placed throughout the case is great. Looks so much cleaner attached to the motherboard. 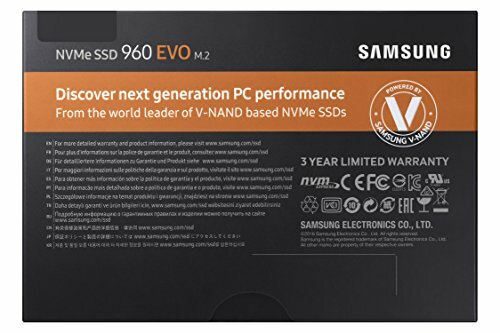 The jump from traditional SSD's to the M.2 drive is no where near the 'wow' factor, speed wise, when going from mechanical drives to an SSD. That being said I have no complaints and while the price was high as its fairly new tech, you've got to pay to play! Amazing. No need for storage outside the motherboard anymore with this. This means ability to remove sata data and power cables needed for traditional 2.5" SSDs. Only wish they made a 2TB of the EVO series. The PRO is far too expensive for my needs. 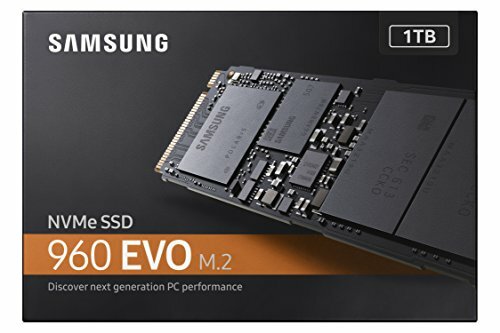 Blazing SSD period with no issues and easy to install. Im glad i didnt invest in the pro version.